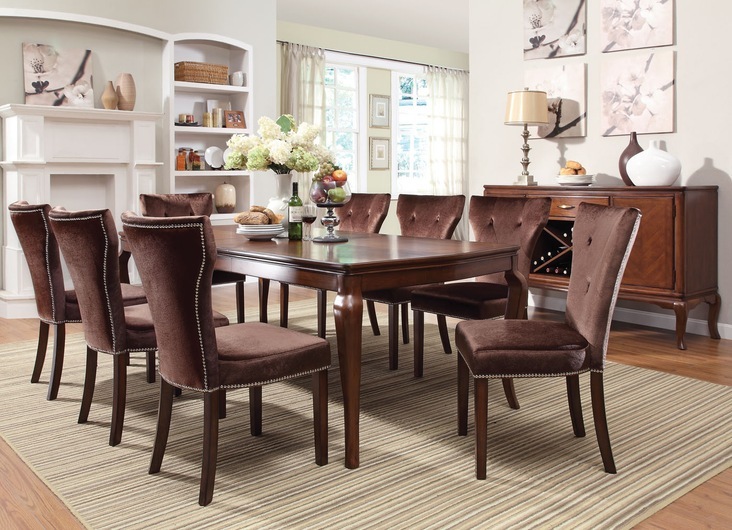 Upgrade your dining room decor with this Kingston Collection by Acme Furniture, which is crafted with the finest solid woods and veneers, finished in a beautiful brown cherry tone. This transitional group offers a leg dining table with shaped tapered legs, butterfly parquet top and 18 inch butterfly extension leaf. 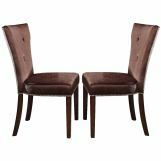 The side chairs feature shaped back, chocolate velvet upholstery with button tufted back and brushed nickel nailhead trim. 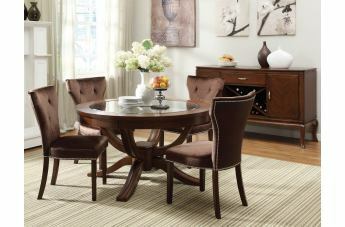 Featuring a unique luxurious seat cushions, and decorative nailhead trim, this set will effortlessly stylize your home. 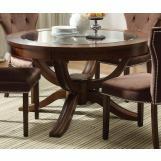 Give a sophisticated appeal to your home with this luxurious dining collection.